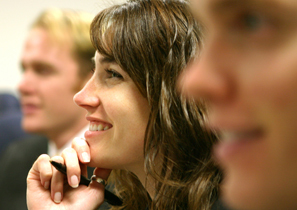 On-site services range from one-hour seminars to all-day Organizational Development topics. Please allow 3 - 4 weeks notice for scheduling. Our one–hour onsite employee assistance seminars impart a wide range of educational information. They are an excellent way to bring information and ideas to large numbers of employees. We talk with you to determine what prompted the request for a particular topic, your goals, and any points you would like emphasized. We will develop and present other topics as requested. Our training facilitators have been carefully selected for their experience and expertise. This insures your organizational training goals are met and the seminar is geared to the learning styles of participants. We have developed partnerships with a network of trainers to provide access to a diverse range of trainers, courses, and locations. 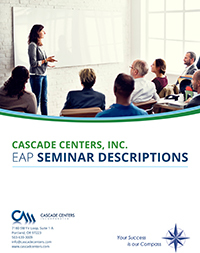 To request a training session from Cascade Centers, fill out this form. When submitted it will be sent directly to our offices. 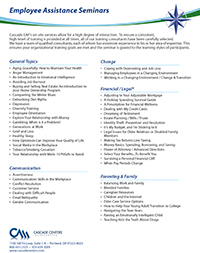 Download a complete list of our seminars and their descriptions to the left. LifeBalance LifeBalance is a discount platform that offers you savings at favorite healthy, fun and family-friendly activities!